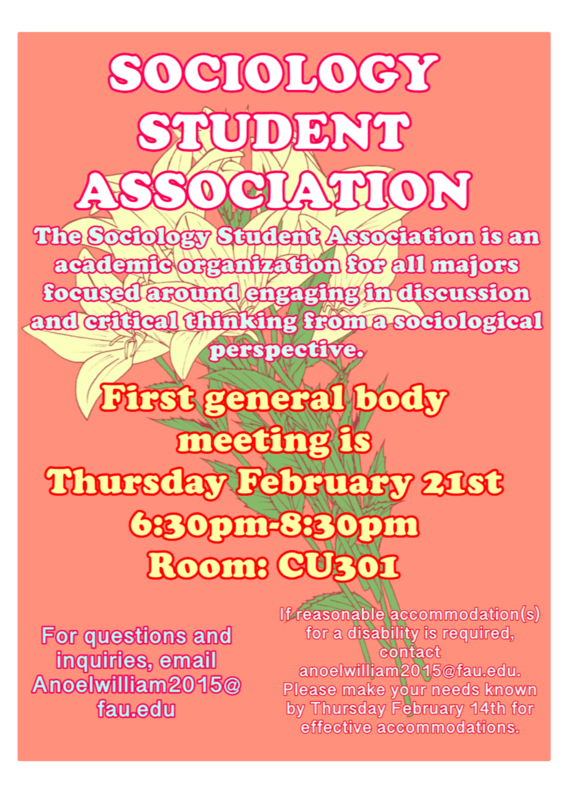 The Sociology Student Association (SSA) is a student-led club that aims to increase student involvement in academic activities, provide a social networking group for students interested in sociology, and cultivate an environment that facilitates learning from one another. We organize and participate in events that benefit the community and that create awareness about issues affecting our society. Examples of events hosted by the SSA are “What Can You Do with a Sociology Degree?” workshops, book discussions, film screenings, guest lectures, and volunteer opportunities. Membership in SSA is open to all sociology majors and minors currently enrolled at Florida Atlantic University. 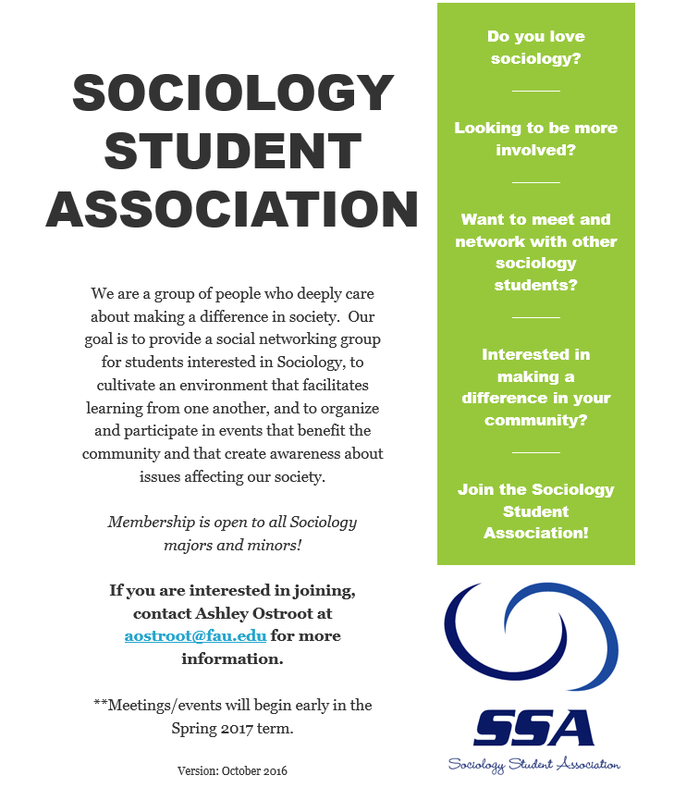 Interested in joining the SSA? For information about us, click on this link. For information about our upcoming meetings, click on this link. Contact splacide@fau.edu for more information.